The likes of IBM, Nokia and Oracle will join the European Commission antitrust case against Microsoft, with the Ecis technology industry group confirming it has been accepted as a third party complainant. 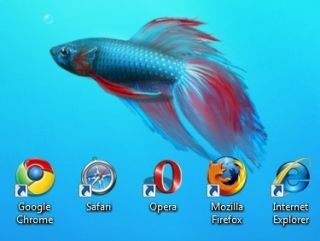 The complaint against Microsoft was brought by Opera back at the end of 2007, and has already been backed by Google and Mozilla, the makers of FireFox. Now Ecis has become involved, and the technology group has some huge heavyweights including phone giant Nokia and computing behemoth IBM. "This is an important case to ensure that browsers can compete on merit and that consumers have a true choice in the software they use to access the world wide web," Thomas Vinje, a lawyer and Ecis spokesman told the Financial Times. "Smaller, more innovative browser developers need a level playing field." When TechRadar interviewed Opera CEO Jon von Tetzchner about the case last month, he said that Microsoft is 'still benefiting from 10 years of breaking the rules'. Von Tetzchner also explained that the fairest way to level the playing field was to offer either every available browser when the next version of Windows – Windows 7 – arrives, or offer none at all, but merely the option to download one from a selection. "It is difficult to rectify the unfair playing field now, but the ideal scenario is to have equal choice; that you are provided with all of the browsers when you use Windows," said von Tetzchner last month.